Discussion in 'Announcements and Events' started by Tifa Lockhart, Dec 16, 2018. Here we are again, 4 60s to review and 2 50s. I was hesitant to write this because it features Terra and I know shes a big fan fave, but I gotta do what I gotta do. So let's dive in. Alisaie: She's decent. Not bad even. She has access to four different elements which is always nice. Very unique with the black and white Mana count, making you want to continuously alternate your attacks for the most potential. At 70 era she gets a lot better and even becomes a turn stealing speed queen with a pretty decent EX move that really compliments her. But we are in 60 era and I must judge her based on her current status. If you have her, you were probably chasing Terra EX. It's okay, shes one of the first 70s so getting a jump start on her stuff isn't a bad idea. She's okay currently, but like I always say, with overflow changing the meta and her not being able to overflow or battery or buff the party, she's gonna die out really fast. You've got maybe a solid month with her before she falls into the shadows of much better 60s. Terra: She's definitely in the top tier of characters currently. But like Alisaie, she's not gonna last long as she selfishly only buffs and batteries herself with no overflow. I know a lot of you invested in her and she carried you the past few months, but she's got maybe a month at most if that before slowly making a decent to the bottom of the tier list in 60 era. Don't fret! She's second batch in 70 era and her DPS is in second place only behind Noctis and she gets overflow and AOE. Her EX is completely optional. Don't think because you don't have it you can't use her. Even in 70 era it's not required. It let's her last a bit longer as she does burn out rather quickly with all her turn stealing. Don't chase it too hard. Selphie is next event and Squall and Selphie both are gonna be top tier and you'll want both on your team. Krile: She's no Yuna. But probably the second best battery in the 60 era and pretty decent with Thunder being a Brv+HP attack. And she's pretty solid as a buffer too. My only concerns are you probably awakened Cloud or Tidus and Cait Sith is just around the corner wanting your blue t4s and him and Selphie are going to be the top two buffer/batteries in the 60 era for quite sometime. If you already have her stuff and you didn't get Yuna, I won't be upset at you for awakening her. She's pretty solid right now, but just keep in mind you don't have much time before she gets overshadowed. Dark Cecil: His EX is just around the corner. 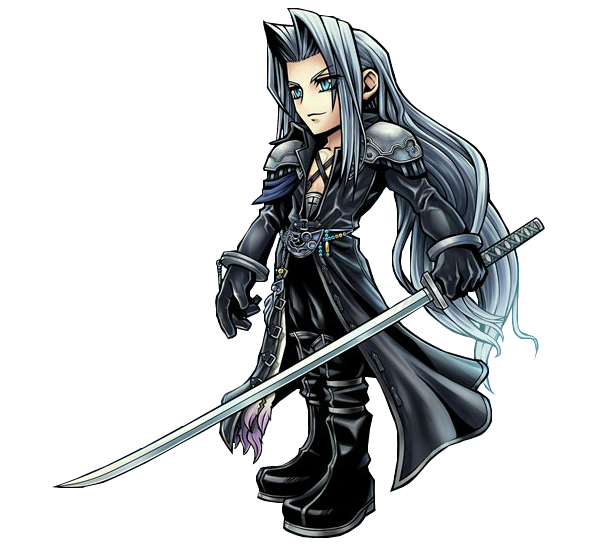 You HAVE to have this EX if you want to use this guy, as well as have Selphie or another solid healer to back him for the future. With Valiant Blow being an HP attack, he's somewhat decent and wants to make a comeback. Cloud and Noctis are causing chases with no HP drain and Fang and Layle are going to come and show him up as well. His EX overflows 200% and restores a use to each ability. This will give him the sustainability he needs for longer battles if you can keep him alive. It will be one of the next few EXs to drop on an awakening banner, which means his 15 and 35 will have to be obtained from a banner other than his EX banner. His EX is mandatory, don't build him unless you're dedicated enough to chase this ex and keep in mind Squall is going to want your black T4s and is god tier. Yuffie: she finally gets her QoL buff and her 35, making her the last character in the game to get her 35 and she may have been decent if all this happened a few months ago, but we are months into 60 era and her 50/50 stuff isn't going to cut it. She's also in the last batch of awakenings for 60 era, meaning you will be waiting a long time to use her. But being in the last batch means she's going to get buffed a lot to keep up with meta. She gets a party esuna, two batteries, four AOE debuffs. Buffs the party's max Brv. She's is very solid at 60/60. I used her until 70 era eliminated most 60s as 60 era is doing to 50s. She's going to be on your bench for a long time. Probably won't see you again this year, but we can always hope. Nerdy_america, Lothadric, I Cry 4 Claire and 3 others like this. I'll be forced to skip Selphie regardless if her Global debut is next or Gilgamesh's Global debut is before hers (since his LC in JP is coming this week, and the next Global update just so happens to be coming up, on Wednesday). After spending 40K gems and 40+ tickets to finally land Yuna's 35CP weapon (along with Rem, Lillisette, Jecht and Vaan's 35CP weapons as well as Lillisette and Jecht's 15CP weapons) when Cloud and Shantotto had their EX weapons available along with Chapter 11 (didn't get either EX) and also skipping Noctis' banner, it's not wise for me to pull on Selphie's banner as I spent 60-70 tickets and 20K gems to land Alisaie's 35CP weapon plus Terra's EX (trying to get Alisaie and Papalymo's 35CP weapons), knowing how my most recent pulling trends have turned out for me, not as favourable as before. Yuffie is pretty neat, and I think she can be somewhat used for content atm. She's definitely really strong with her new framed buff.